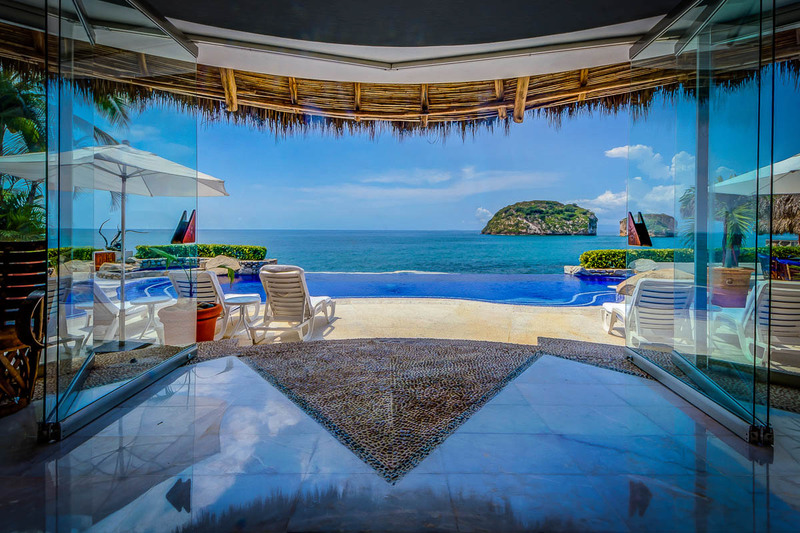 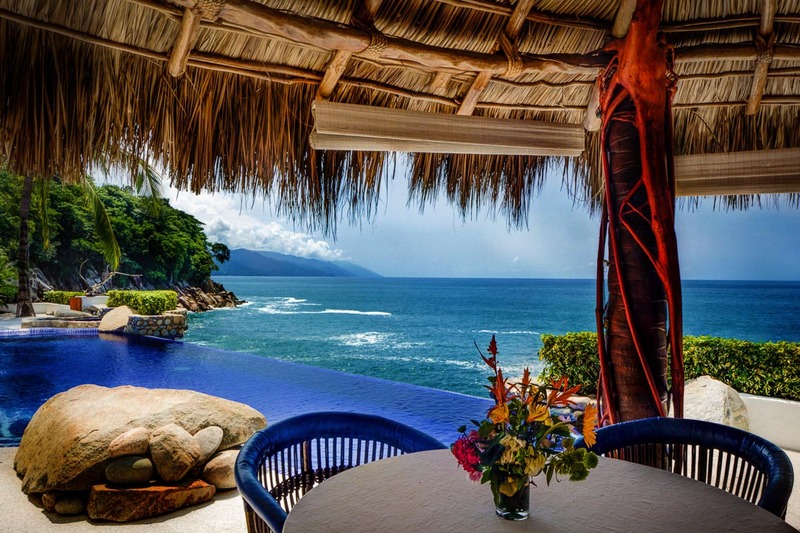 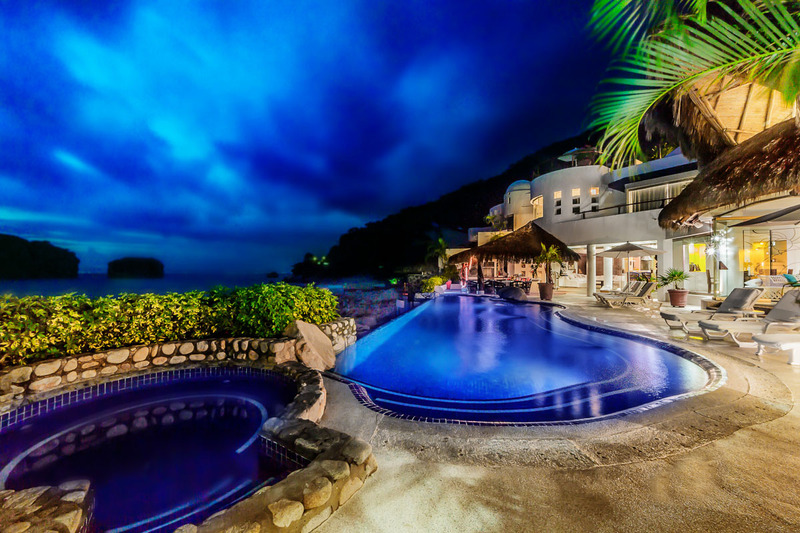 Welcome to Casa San Sebastian the most exquisite and talked about luxury villa on Puerto Vallarta’s exclusive south shore. 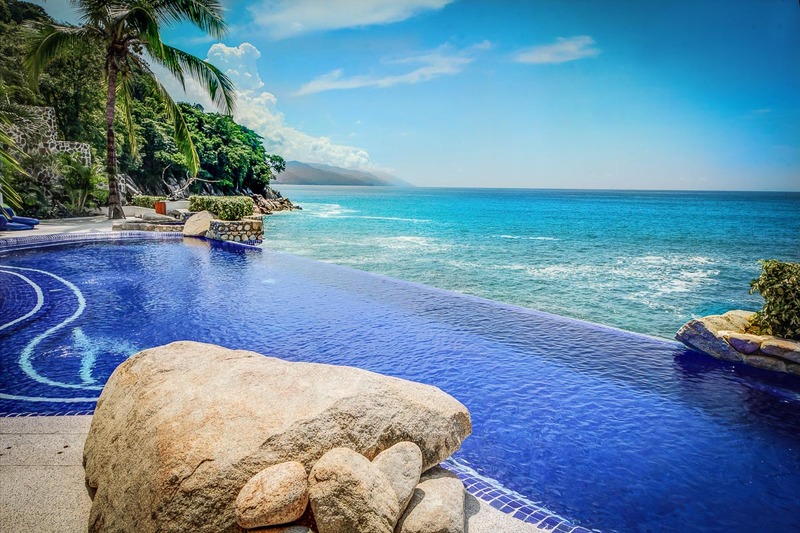 This spectacular, new 8,000 sq. 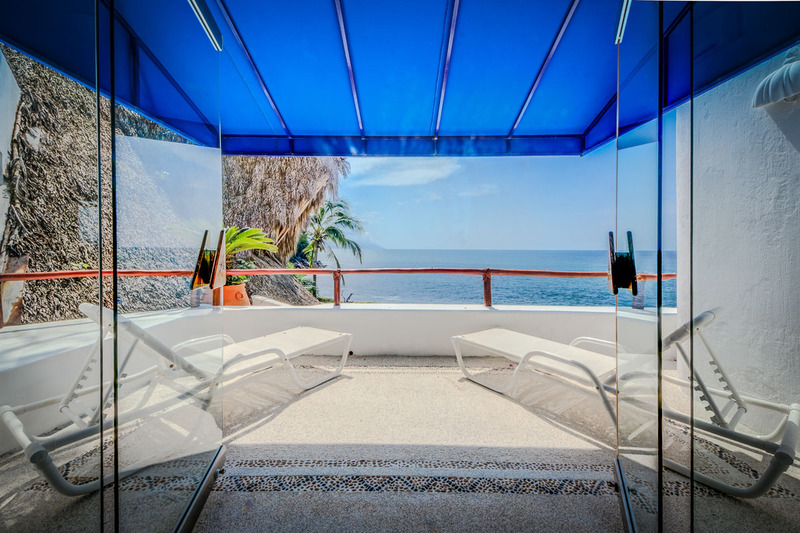 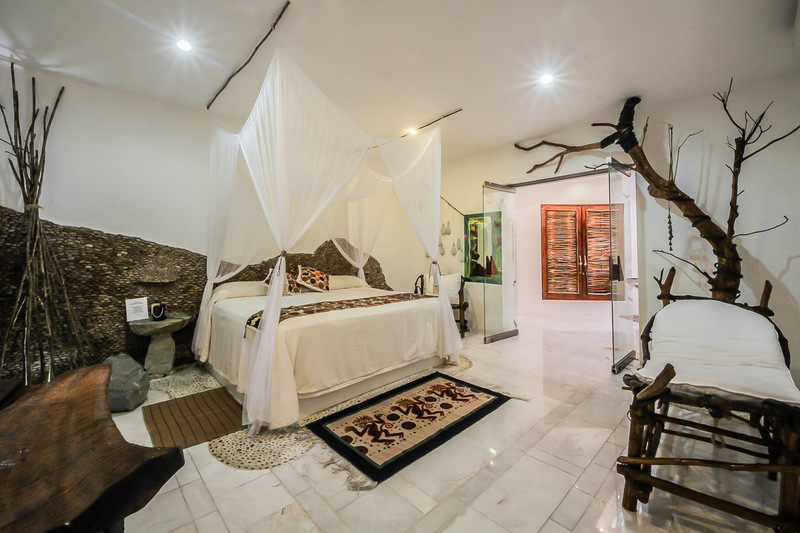 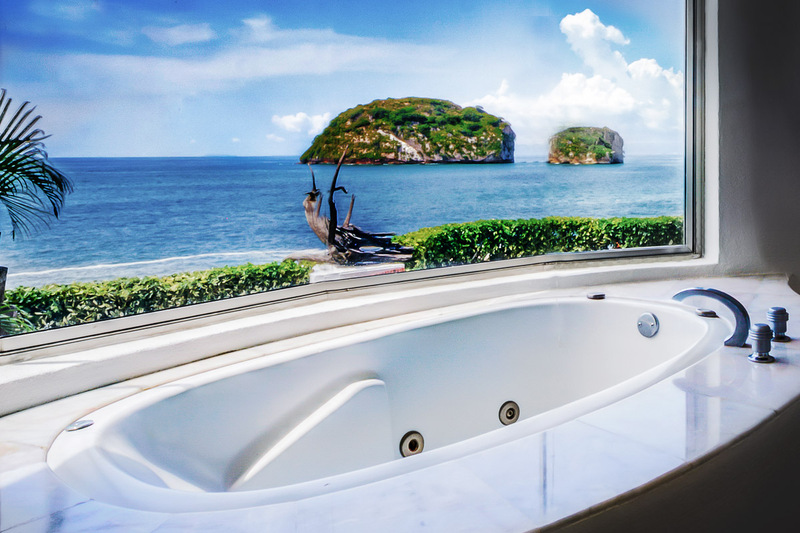 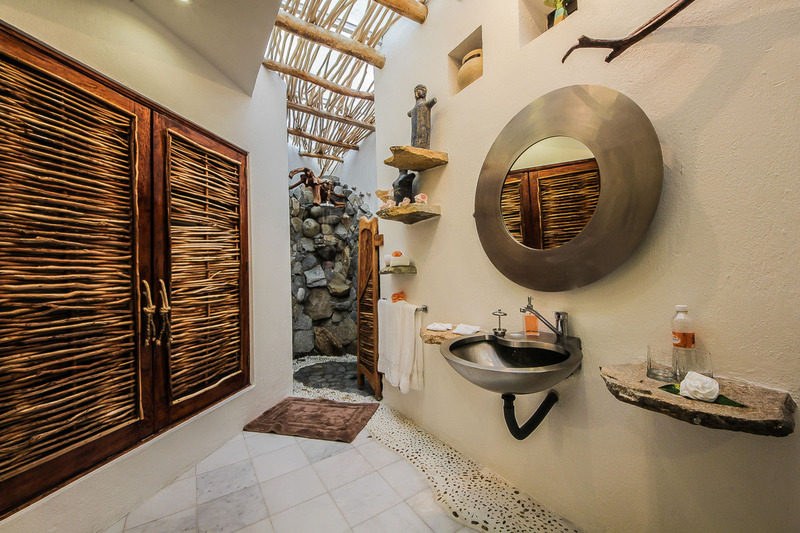 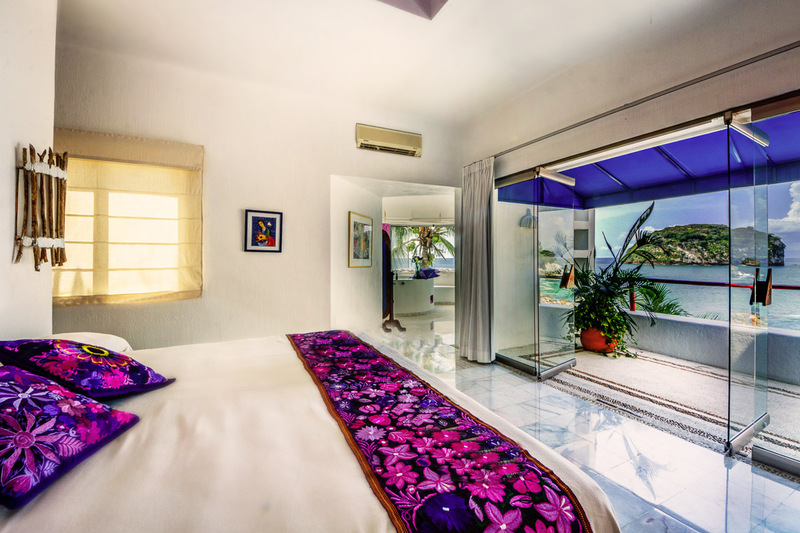 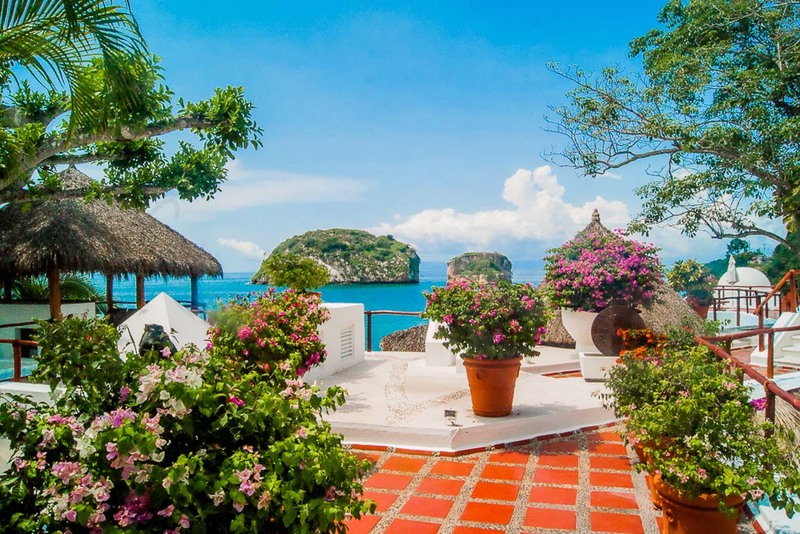 ft. four master bedroom, five and a half bath Puerto Vallarta villa was designed for pure pleasure and comfort. 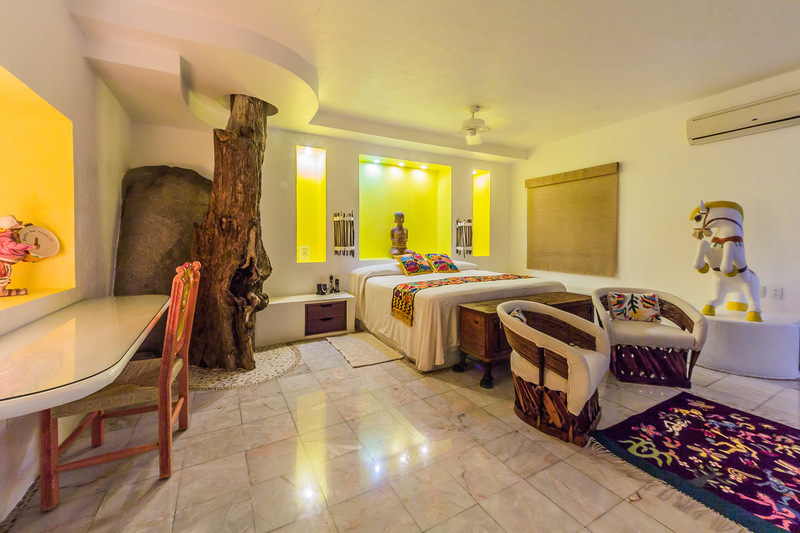 Separate servants’ quarters. 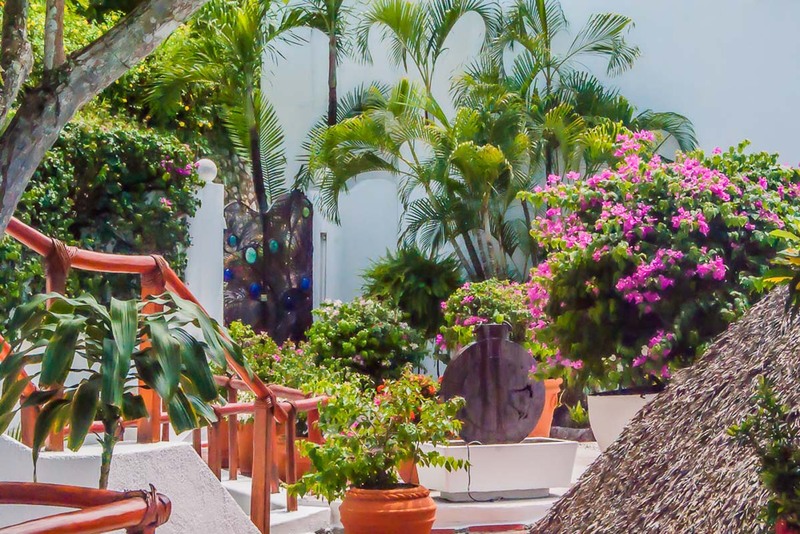 The Puerto Vallarta villa comes with a cook, maid, houseman and caretaker who will always greet you with smiles as warm as the Mexican sunshine. 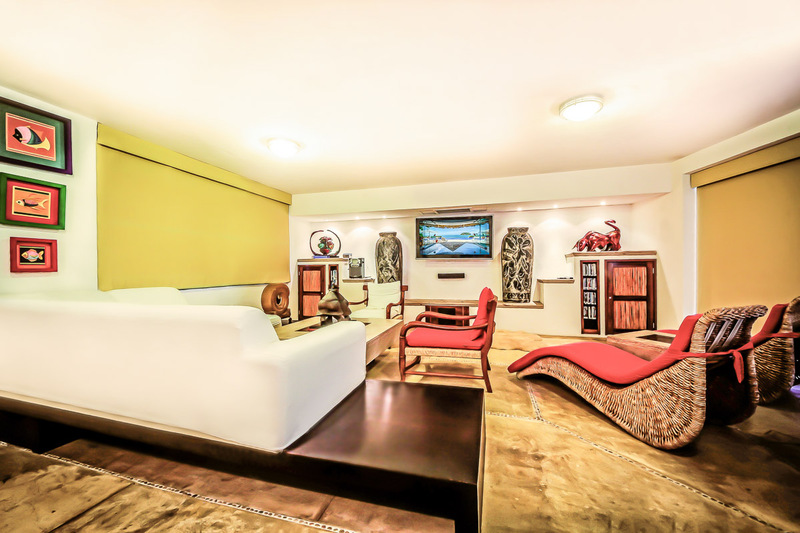 The staff is managed by Angela Sanchez, who will greet you upon your arrival and make your stay as comfortable and enjoyable as possible. 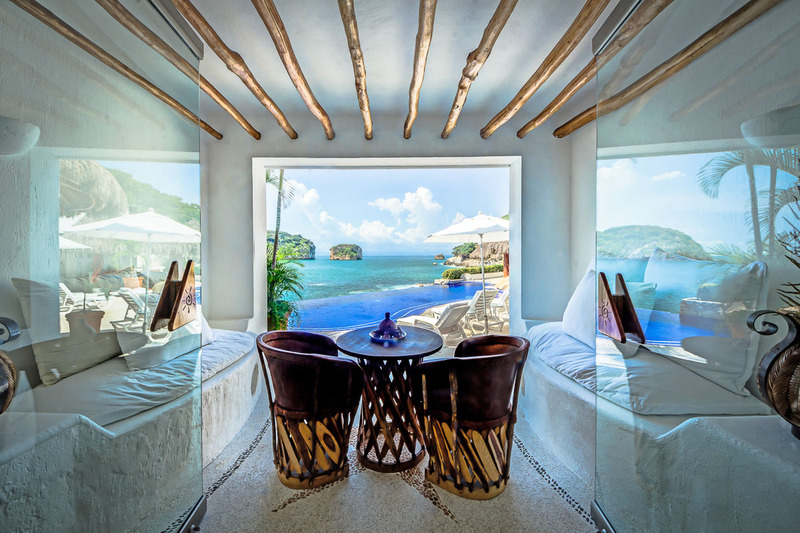 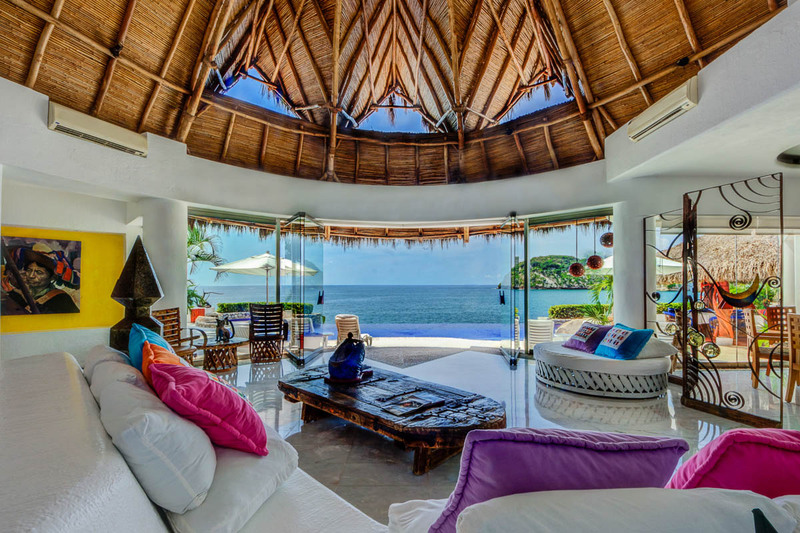 Magnificent framed ocean views from every room and terrace. 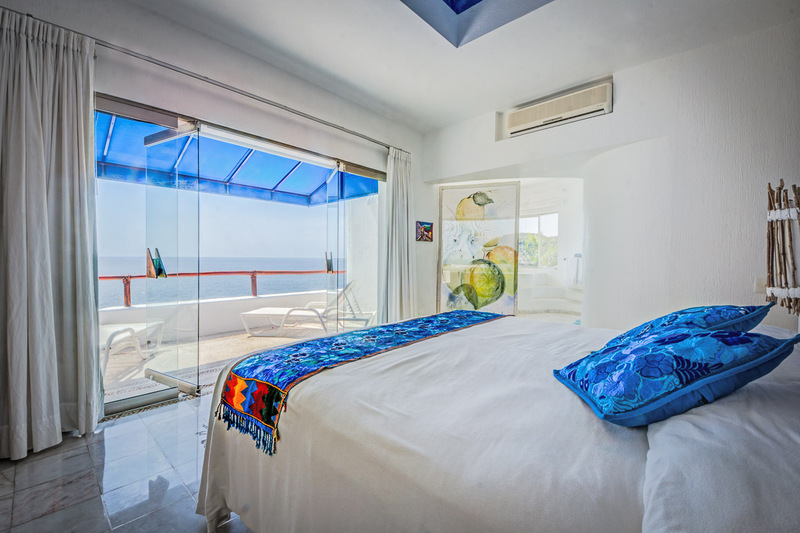 Sleeping capacity 8 guests, four bedrooms. 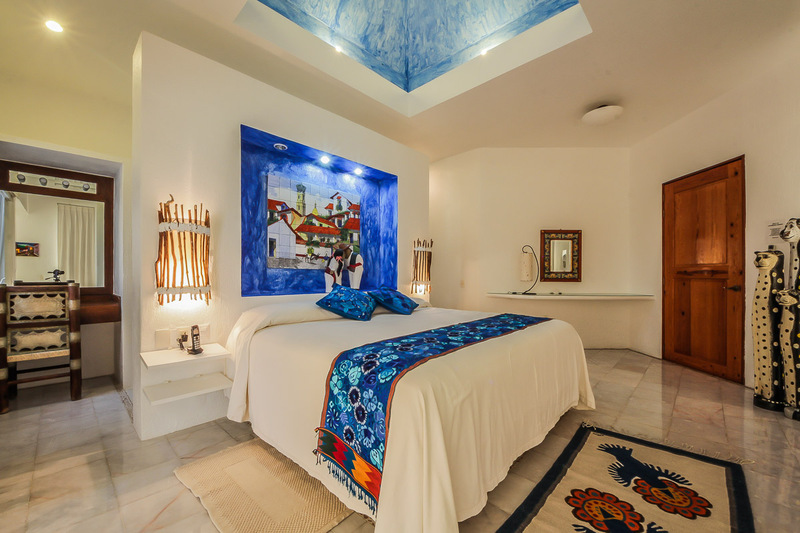 Three lavish master suites with king size beds with private terraces. 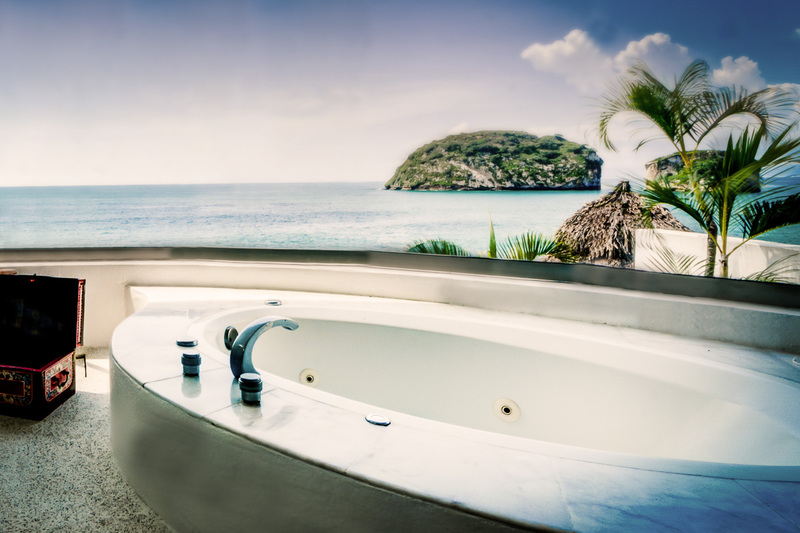 Each suite has an oversized marble bathroom with raised jacuzzis. 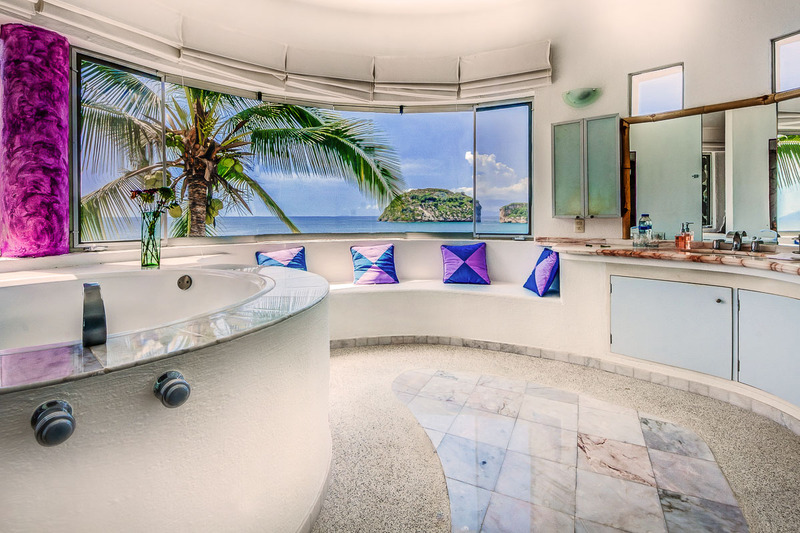 Even the stone and marble showers have impressive views. 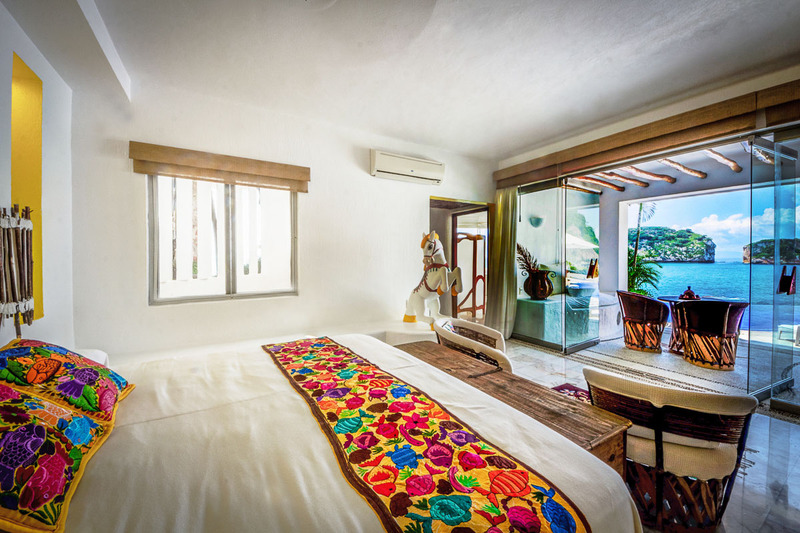 Plus, one master suite, with a queen size bed. 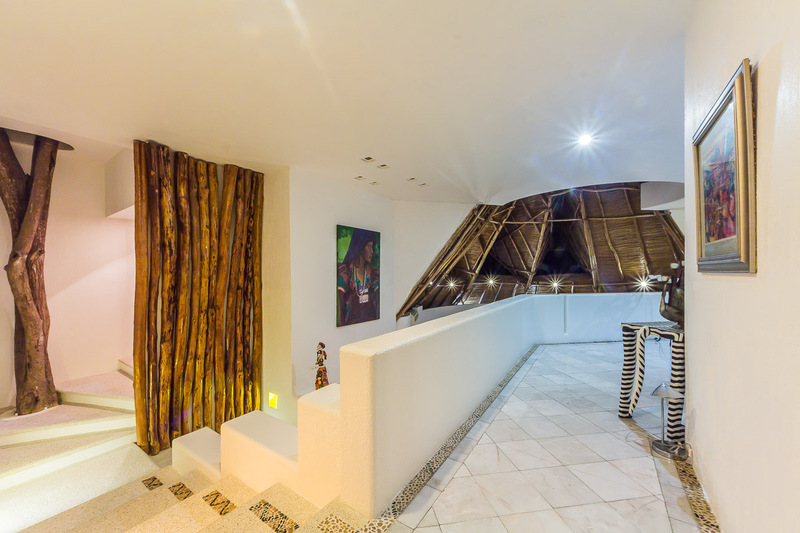 Spacious glassed-in living and dinning area under a soaring thatched palm roof. 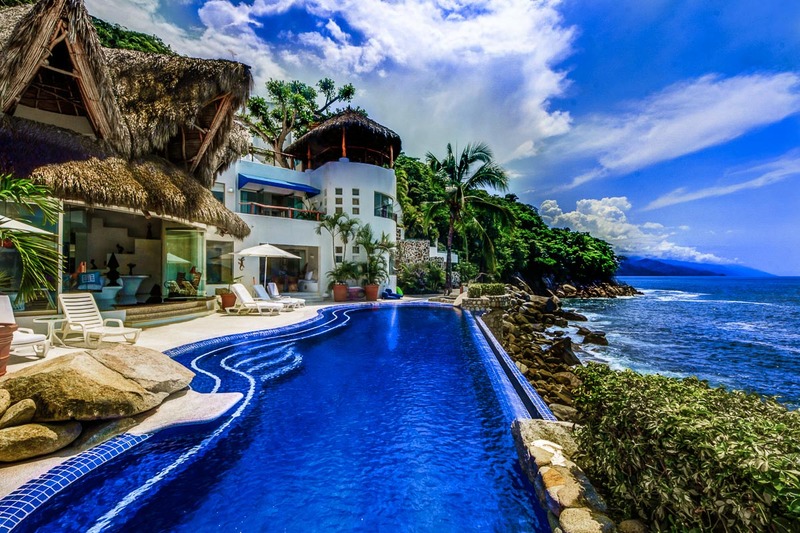 Dramatic 50 ft. heated “infinity pool” and jacuzzi. 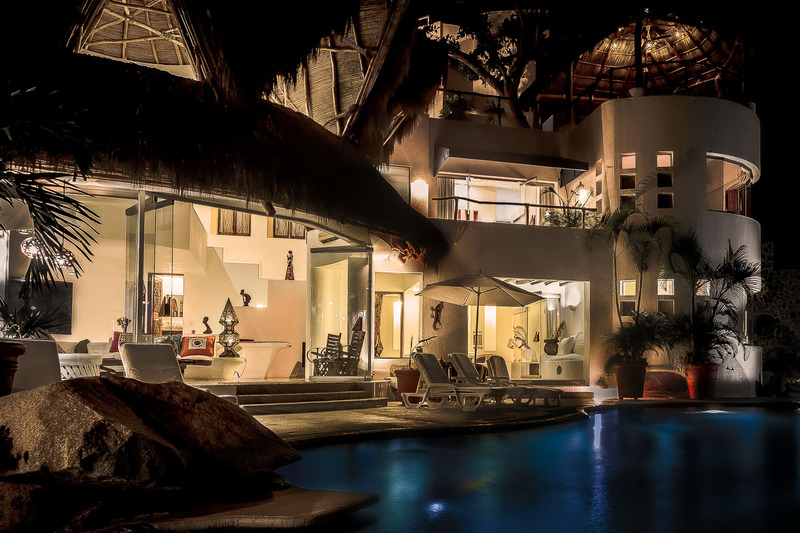 Outdoor dining, bar and recreation area. 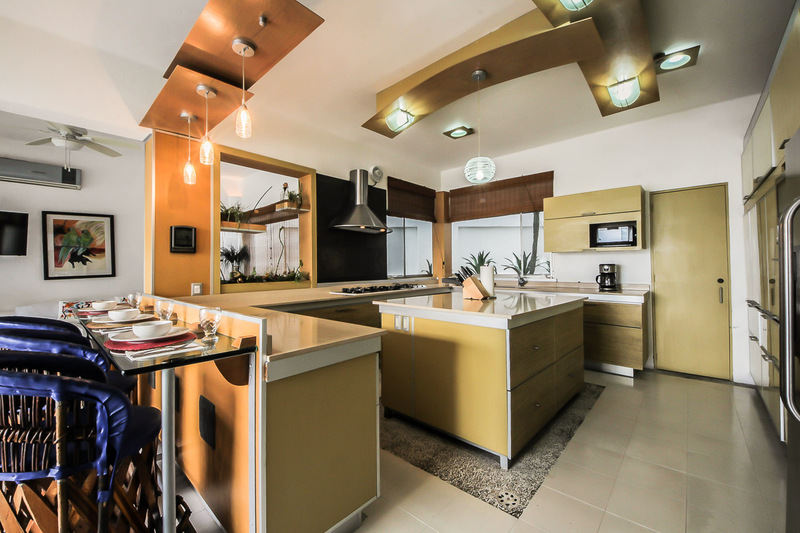 Large modern kitchen and family room. 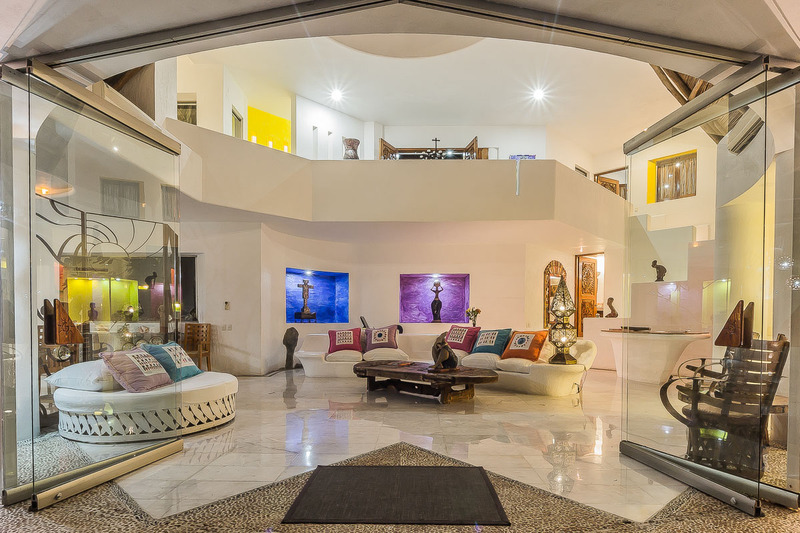 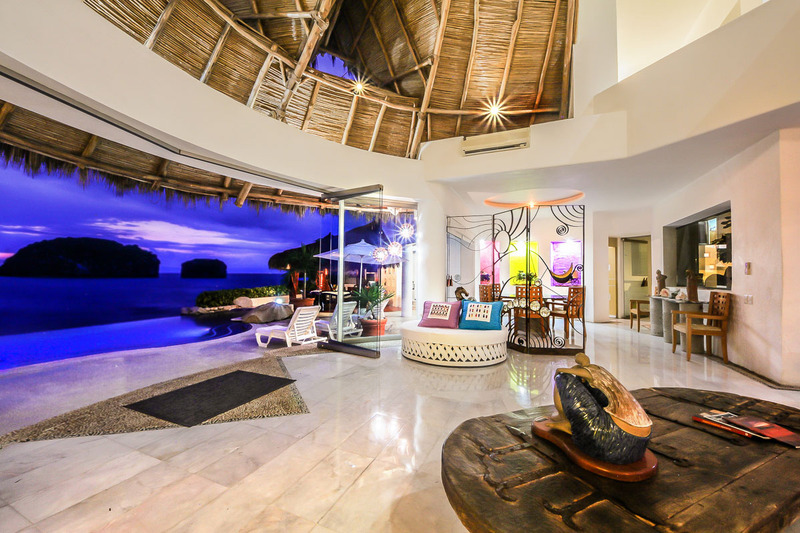 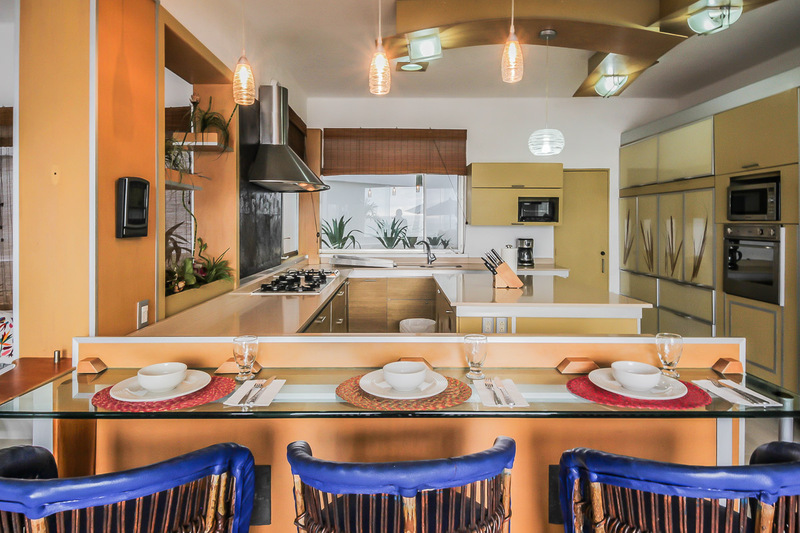 Elegant, contemporary split level design, marble floors with inlaid mosaics of pebbles, sculptured oversized sofas, vivid Mexican colors, carved wooden doors, high ceilings, walk in closets. 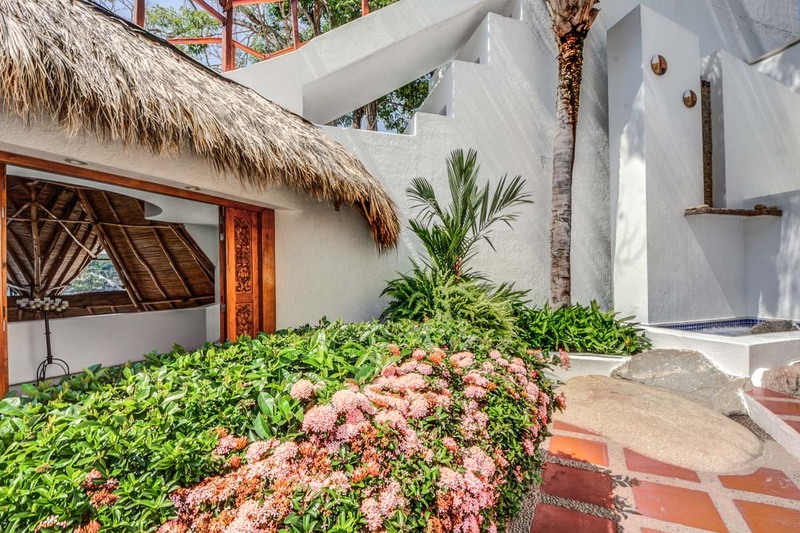 Private entry and flowering garden patio. 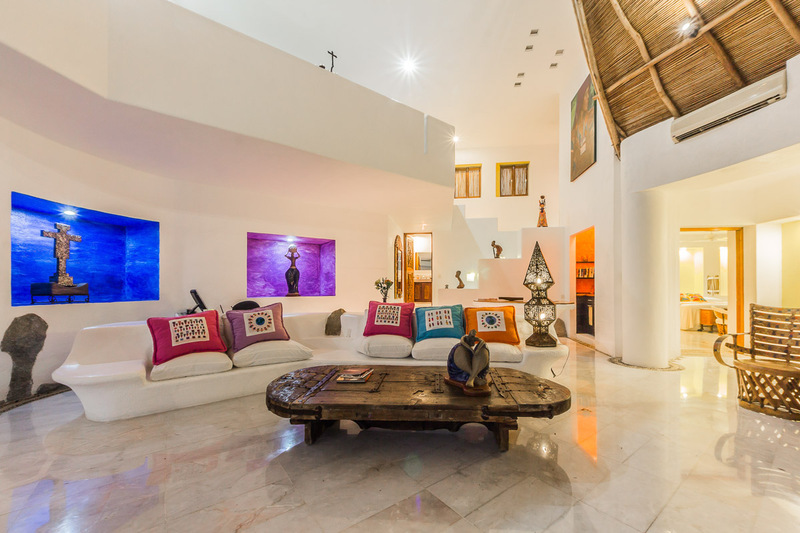 Satellite TV, stereo, garage, intercom, fax and phone.